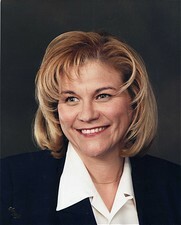 Dr. Patricia A. Pompa graduated from University of California at Los Angeles Dental School in 1980. She served her residency at Loma Linda University. Dr. Pompa has been practicing in Rialto for over 25 years. Since she began practicing dentistry, Dr. Pompa has kept up to date on many continuing educational classes, ensuring that her patients receive the most comprehensive and advanced dental care. Dr. Pompa is pleased to offer gentle care to patients of all ages. We believe that education and communication are the keys to a healthy dentist:patient relationship. Dr. Pompa is supported by an experienced staff who make every effort to make your dental visits as pleasant as possible. Dr. Pompa is married and has four children. When she is not at the office, she enjoys spending time with family acitivites.